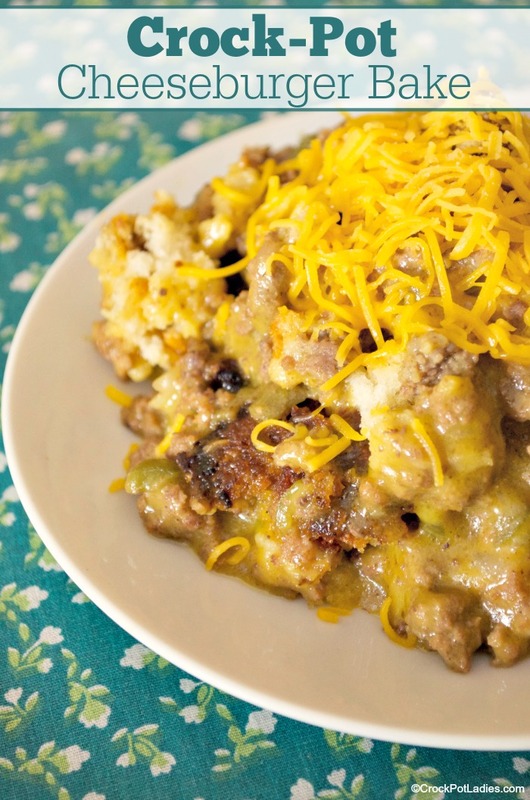 This casserole recipe may not be pretty but it sure is tasty. And it comes together pretty quickly with just a little bit of prep work. Extra lean ground beef is cooked and crumbled on the stove-top with some onion and green bell pepper and then a can of condensed cheddar cheese soup and a little milk is added. Then you mix some all-purpose baking mix (such as Bisquick) and water together to create a batter. The batter is poured and spread in the bottom of either a 3.5 quart casserole slow cooker OR a 6 quart oval slow cooker. And then the cheesy hamburger mixture is spread on top of that. Then the whole mixture is cooked for about 3 to 4 hours or until the baking mix batter is cooked through. 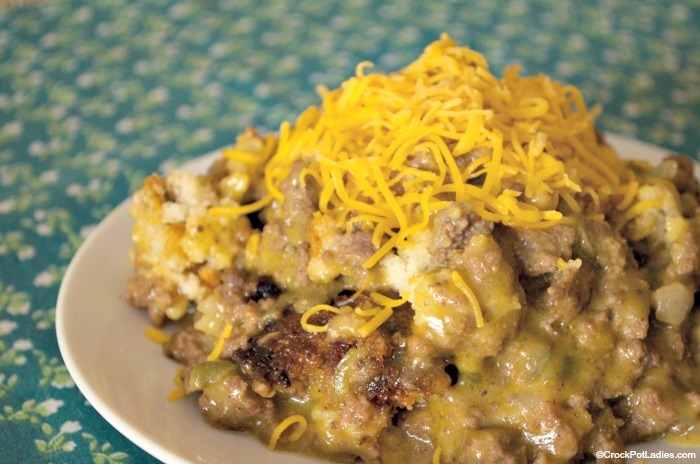 When it is done you simply spoon some of the casserole out and top each serving with a little shredded cheddar cheese. 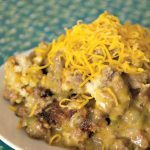 All the flavors of a delicious cheeseburger in a simple slow cooker casserole. Heat a medium sized skillet on the stove-top over medium high heat. Add the ground beef, onion and bell pepper. Cook and crumble the ground beef. Drain off the excess fat. Add the cheddar cheese soup and milk to the pan and stir and cook until the well mixed. Turn off the heat and set aside. In a medium mixing bowl, combine the all-purpose baking mix and water and stir until mixed. 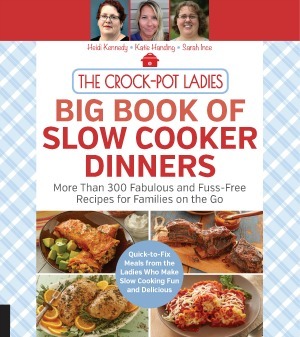 Pour batter into the bottom of a 3.5 quart casserole slow cooker OR 6 quart slow cooker and spread it evenly. Add the ground beef mixture to to the top of the batter and spread evenly. Cover and cook on HIGH for 3 to 4 hours or until the baking mix mixture is cooked through. Spoon casserole out onto plates and top with shredded cheddar cheese before serving. Nutrition information based on using 95/5 extra lean ground beef, Campbell's Healthy Request Cheddar Cheese Soup, Fat-Free Milk and Bisquick Heart Smart Baking Mix. Hi – this came together nicely, but hubby commented that it needed more spice. I think it could have used more cheese, too! Glad you enjoyed it Jade!